This may be my favorite project of the year. My niece was having her birthday, and I thought she deserved a dress of her own. So, I set out designing an age appropriate semi formal dress. I had this beautiful lace that I bought from Fabric.com, and had intended to use for scarves, but it just wasn't the right weight for scarves, so it became a lovely lace overlay for a skater dress. The pattern is self drafted, and I used a half circle skirt for the skirt of the dress. 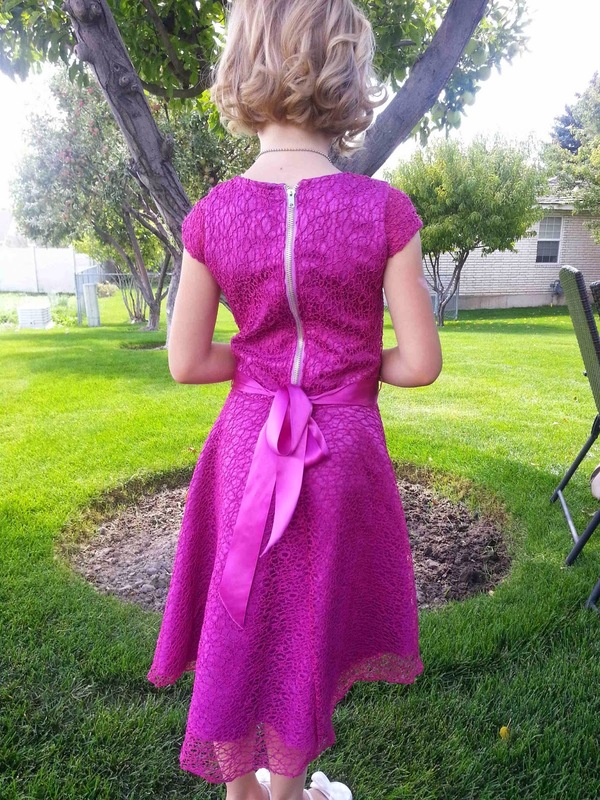 I've been hanging onto an oversized lavender zipper, and it was the perfect detail for the back of the dress. Unfortunately, I didn't factor in enough seam allowance to account for the structure of the lace. I ended up haven't to make the seam allowances quite a bit larger, which made the bodice quite a bit smaller. 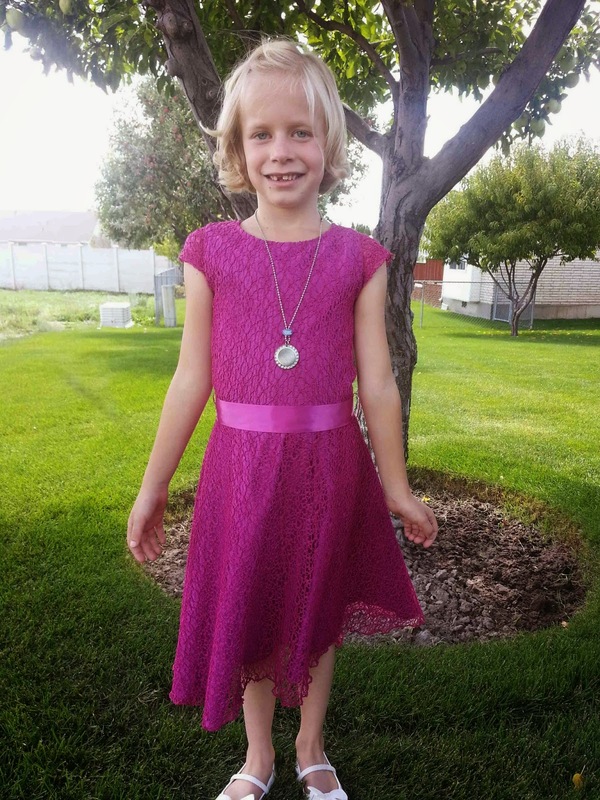 Unfortunately, the dress didn't end up fitting my 10 year old niece, but fortunately, she has two younger sisters, and it fit her petite 8 year old sister perfectly. I'm glad that someone gets to wear it, and I just might have to make myself a matching dress. It's just too cute. That is really cute... my daughters would be fighting over it. The color is really fun!